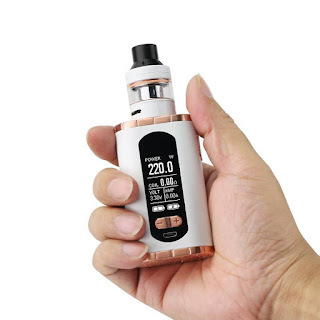 Home > e-cigarette history > E-cigarettes > Eleaf > Vape > vape life > vape shop > vape style > vaping > Do you know the history of the electronic cigarettes? Do you know the history of the electronic cigarettes? The design ideas of electronic cigarettes have been on since 1960s but it has been used widely until recently, especially in western countries like the European countries and the America. Nowadays many smokers cut out harmful cigarettes successfully by electronic cigarettes. However, few people know the inventor and the history of the electronic cigarettes. The following will show you this. In fact, the earliest electronic cigarettes can date back to 1963. At that time, Herbert A Gilbert invented a device without smoke, whose operating principle is producing steam by healing the liquid of nicotine. In 1965, he got the patent of his invention and then his ideas was introduced by the most popular magazine of dynamics for the first time. In 1967, Gilbert joined hands with the companies which are interested in the device and began mass production. What is a pity is that the production hadn't been put into market. After that, this kind of device had faded from the public and at last disappeared. 2011 came. At that time, Vlacho designed the first functional sample of electronic cigarettes all over the world. It healed the mix liquid of nicotine to produce steam by electronic thermistor. In 2002, the first electronic cigarette was introduced to the public in the International Invention Exhibition in Geneva and attracted many smokers. Even so, Vlacho didn’t get the patent of this invention. Until 2014, the similar electronic cigarettes appeared in China, which changed his opinions greatly. He began to produce the first batch of electronic cigarettes and proposed his patent was stolen. But we couldn't know whether it is the fact or not. Han Li is a famous pharmacist in China, who had been thought the inventor of the first electronic cigarette. He used to be a chain-smoker. After his father died from lung cancer caused by smoking, he determined to find a efficient way of giving up smoking. So he strove to become a medical researcher and try to find a solution. In 2003, he designed the first production based on nicotine. Next year, he mass produced and sold the device of this kind internationally. In 2004, Han Li changed the name of his company from JIN LONG Shareholding Co.Ltd to RU YAN Technology. Until 2005, his production began to export to other countries and got the first international patent in 2007. After that, the business of electronic cigarettes is developing rapidly. The second, the third generation of electronic cigarettes came out in succession. The productions of electronic cigarettes are the most creative of the 21st century, which brings in environmental health concept, break through the monopoly position of the tradition cigarettes and so have an epoch-making history meanings. From the development stories, we can know that any new things will always face with all kinds of barriers but the new must take place of the old. So the future of electronic cigarettes is bright although the development road is winding. The bosses of electronic cigarettes should hold on the optimistic mindset and believe the electronic cigarettes—the historical choice. If you want an e-cigarette, you can get it on Eleaf® iStick vape shop, there are many choices for you.